With the Federal Budget imminent, speculation as to what may be in the budget increases. Given the Labor party has announced a number of super proposals already, including the banning of excess refundable franking credits, the Coalition might look to use this election budget to attract voters who could be negatively impacted by Labor’s proposals. The Coalition will also be eager to announce the first budget surplus in a decade. 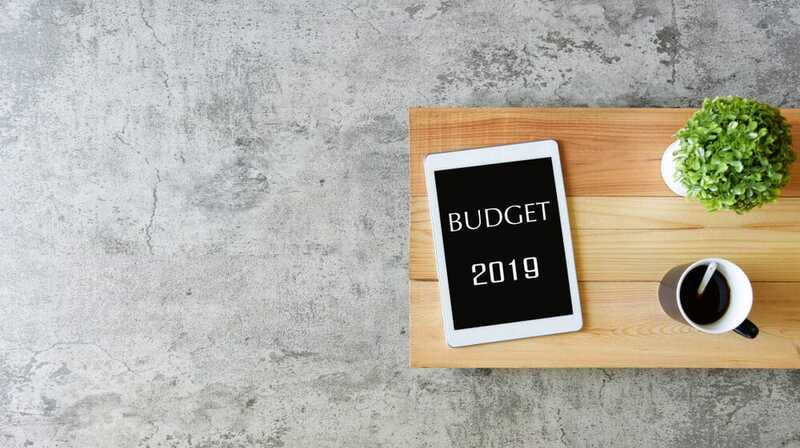 While crystal ball gazing is never easy when it comes to forecasting Government budget policy decisions, the Government has been unusually quiet with regards to new superannuation measures. A stronger budget and higher than projected revenue receipts could pave the way for further tax cuts. Increasing contribution caps for older Australians. Creating a spousal rollover for couples. Introducing an amnesty to allow SMSF trustees to convert their old legacy superannuation products into modern account based pensions. Addressing inefficiencies in the residency rules for SMSF trustees so they can manage their affairs while overseas. All will be revealed in the Coalition Government’s final budget of this term of parliament. While we look ahead to what will be in this years’ budget, it is also worthwhile checking on how the superannuation changes announced in the 2018-19 Budget have progressed. So what has been legislated from the 2017-18 Budget and what is left? Legislation to increase the maximum number of members in an SMSF from four to six is yet to be passed by Parliament. Draft legislation has been referred to the Senate Economics Legislation Committee for review of the impacts of the change. The Committee will aim to report back by 26 March 2019, allowing Parliament two sitting days before the Parliament is likely to be dissolved before the May election to pass legislation. The SMSF Association has made a submission supporting the measures ability to increase the choice and flexibility in the system. The Government announcement that it would change the annual audit requirement to three years for SMSFs with good compliance history has not been introduced into Parliament. In July 2018, Treasury released a consultation paper on the measure with details on the eligibility criteria and transitional arrangements. The SMSF Association and many other stakeholders expressed serious concern with the viability of the proposal to reduce fees or maintain the integrity of the SMSF sector. As draft legislation was not introduced for consultation, we believe this measure will not go ahead in the foreseeable future. The Work Test Exemption provides a one-year exemption from the work test for superannuation contributions to allow recent retirees (those aged between 65 and 74) to boost their superannuation balances. These regulations have been tabled and will take effect from 1 July 2019. From 1 July 2019 individuals with less than $300,000 in superannuation will have an extra financial year in which contributions can be made after the year in which they last met the work test. Therefore, contributions will be allowed in the year even though the individual has not worked in the financial year. Protecting Your Super Package – Inactive insurance accounts, ban on fees for low balance funds, reunification of low balance and inactive accounts. The Parliament has passed legislation which will see superannuation members reunited with low balance inactive accounts. The legislation also includes a ban on exit fees and a three per cent fee cap on accounts with $6,000 or less. Furthermore, individuals with an inactive superannuation account for 16 months will need to notify trustees that they want their existing insurance to continue if they are deemed an inactive account. A superannuation fund account is taken to be inactive in relation to a choice product or MySuper if the trustee, or trustees of the fund, have not received an amount in respect of the member that relates to the insurance product during that period. These measures will start from 1 July 2019. A Bill has been introduced that allows clients with multiple employers who are earning more than $263,000 to opt out of receiving compulsory employer contributions from all but one employer. This will allow employees to prospectively manage excess concessional contributions. However, this measure currently resides in a Bill with other contentious issues and has not been passed. The SMSF Association believes this measure is not contentious and will be passed at some stage, even if it needs to be reintroduced after the election.